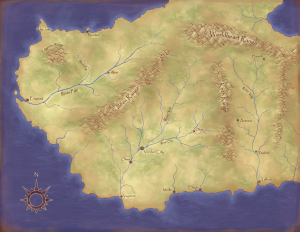 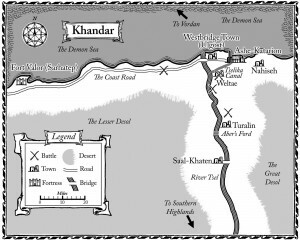 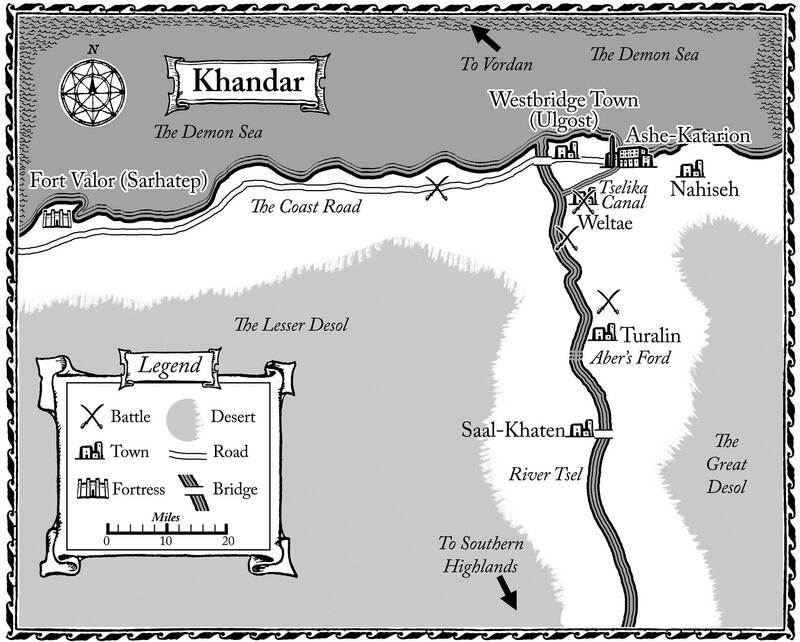 Khandar, map from The Thousand Names. 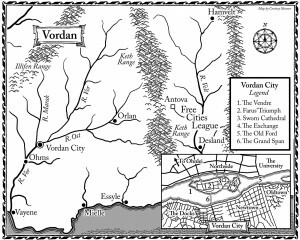 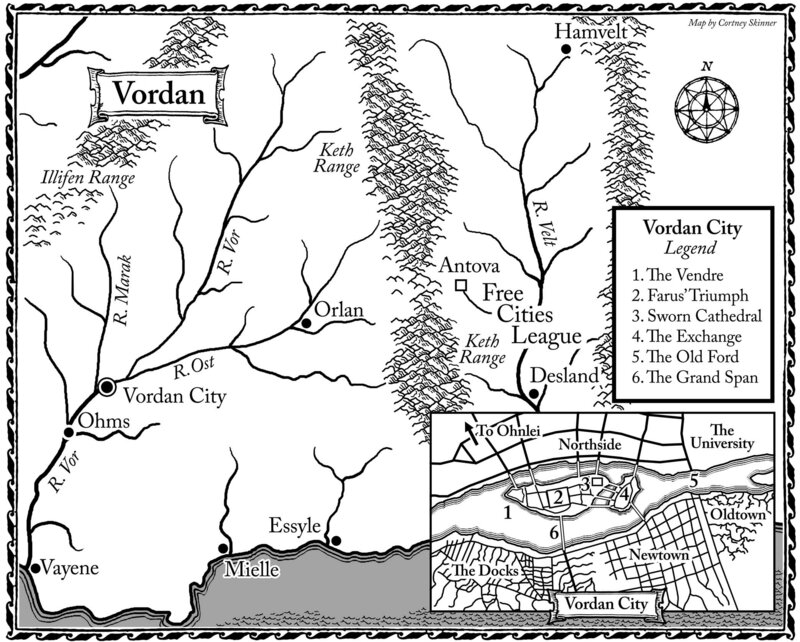 Southern Vordan and Vordan City, map from The Shadow Throne and The Price of Valor. 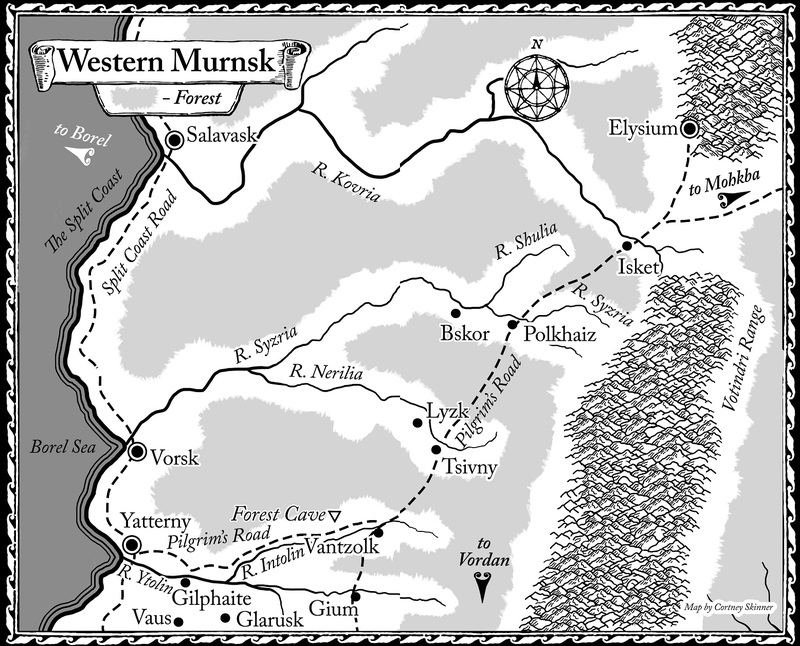 Western Murnsk, map for The Guns of Empire. 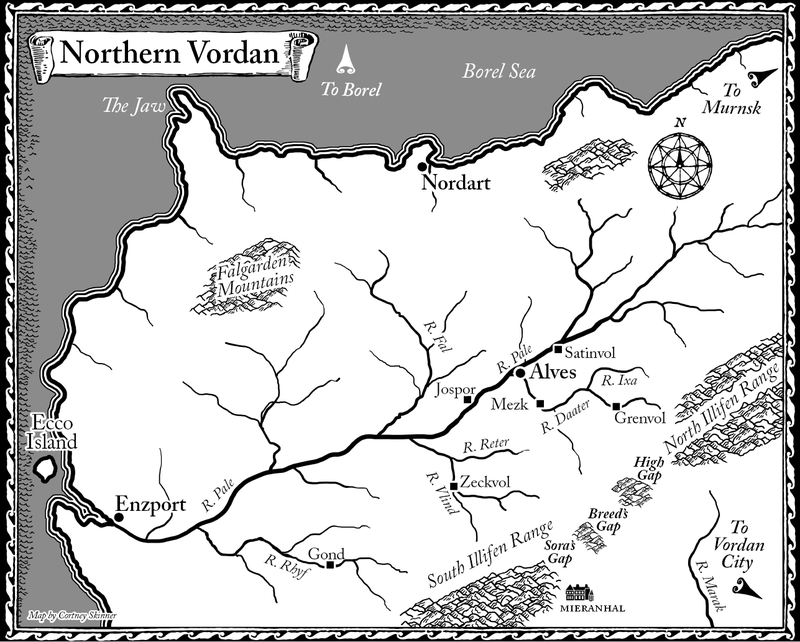 Northern Vordan, map from The Infernal Battalion.